While we only spent three days on MSC Divina during our recent Bahamas cruise, we made sure to explore every inch of the ship. 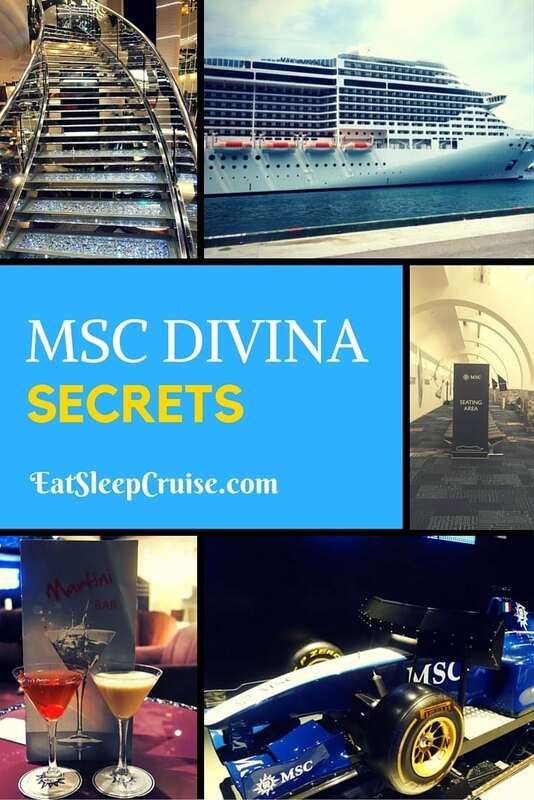 This was no easy task given the layout, but we were able to come away with some great MSC Divina secrets. 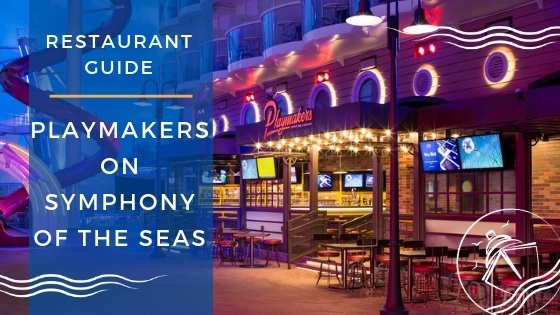 Of course, we are eager to share these insider tips to help you make the most of your next cruise on this mega-ship. A little planning can go a long way. 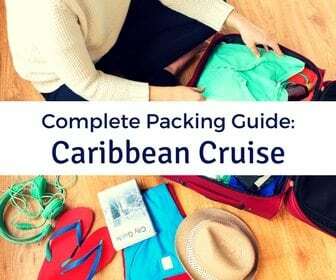 Get a Great Deal – If you did not get some type of promotional price for your cruise, you paid too much! To entice travelers to try out the MSC brand, the company often runs some great deals. 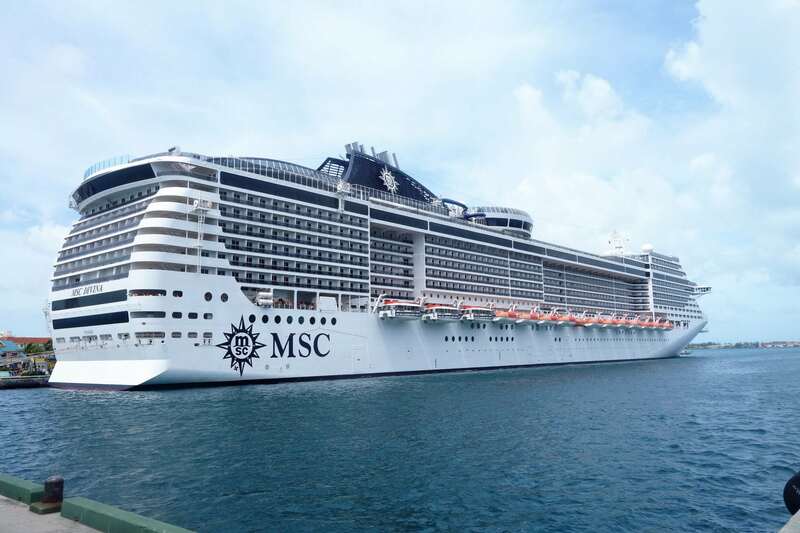 From kids sail free, to 7 night Caribbean cruises starting at $399 a person, to even packages including drinks, internet, and a shore excursion for under $900 a person, MSC Divina cruise fares are some of the lowest in the region. 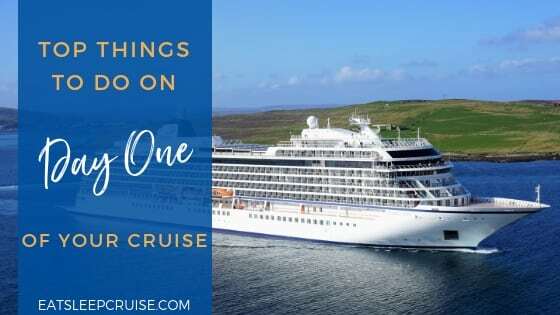 While this may not be an MSC Divina secret for some, be sure to check out MSC Cruises’ current deals to see what great rates are available now. Take Advantage of the Loyalty Program Match – Before you even step foot on MSC Divina, you can have status with the brand. MSC Cruises is the only company we know that will reward you for cruising with other cruise lines. With their Status Match Program, you can instantly be at the top of their membership pyramid and enjoy benefits like free thermal suite access, dinner at a specialty restaurant, and more if you have earned enough cruise points with another cruise line. The catch is that you do need to sail regularly to maintain your status. 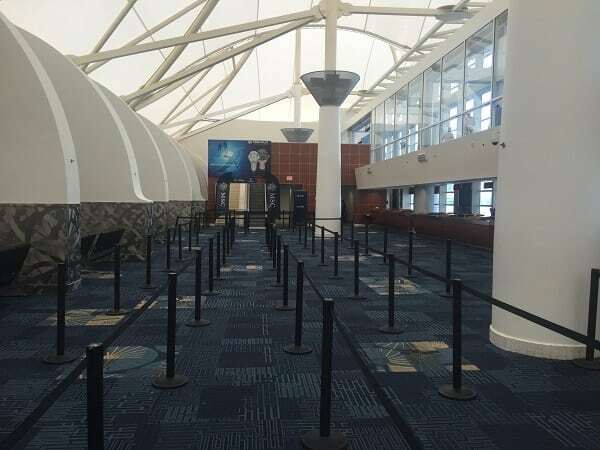 Arrive Early to Have the Ship to Yourself – Given the multi-cultural makeup of cruise passengers and the late departure time, arriving early will ensure that you have the ship almost to yourself. We were onboard before noon and able to grab pictures of all the public areas, with no one in the pools or lounge chairs (I know, we couldn’t believe it either!). If you prefer to get down to business with a fruity cruise drink, head to the outdoor bars as most people seemed to congregate in the Atrium of the ship and the buffet. 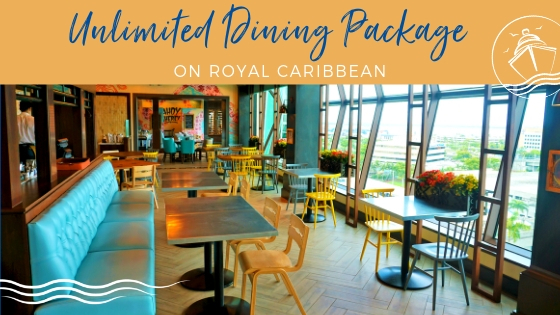 Wait To Purchase Drink Packages Onboard – While we are usually fans of pre-booking, you are better off waiting until you board to purchase a drink package on MSC Divina. You may have more options when you board than are available for pre-booking online, and the costs will be about the same. 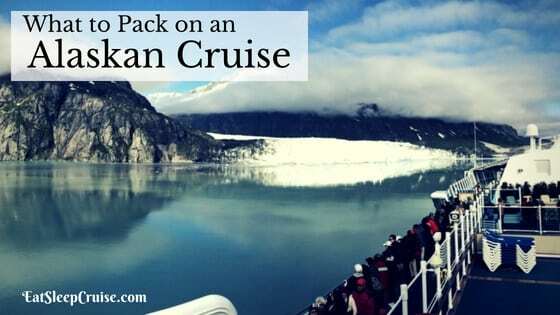 With several different drink packages, including voucher options, it can be a bit confusing (for both cruisers and the staff). 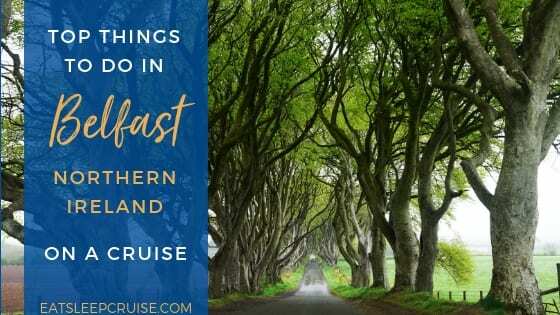 Also, anything you buy pre-cruise is non-refundable. A common complaint we heard from fellow passengers is that they could not upgrade their drink package once onboard. Avoid the Running Track and Use Deck 7 Instead – You will notice that the running track on Deck 15 is small and can be quite crowded. So, we advise avoiding this area all together. 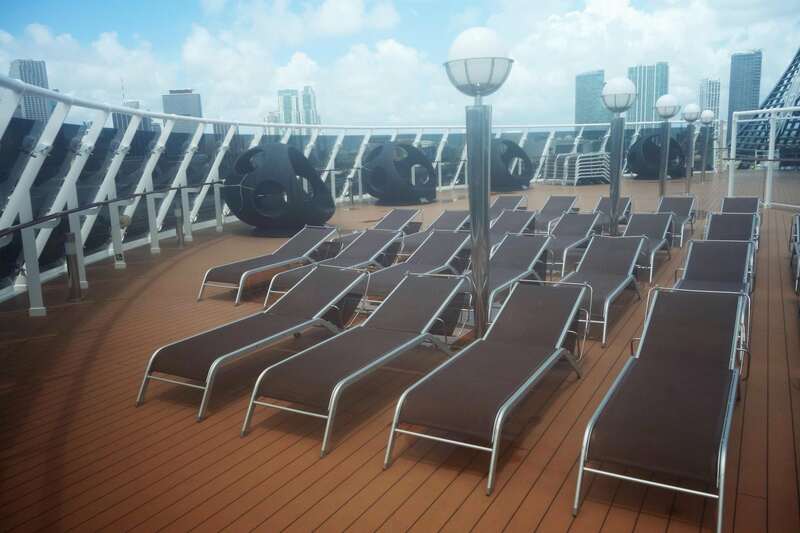 If you are looking for a location for your daily walk or jog, the outdoor areas of Deck 7 provide more space, less passengers, and even some shade. It is a great MSC Divina secret no matter what time of day you decide to get some extra steps. 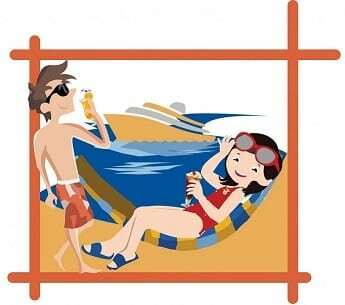 Save Your Money on the Solarium – The Solarium is available to guests willing to pay an upcharge to rent a lounge chair- which can be purchased for a day or a week long pass. This area also includes a whirlpool and small tiki bar but no swimming pool. 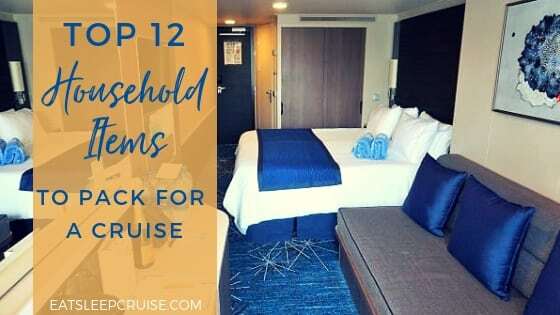 Given the various pools and lounge spaces on the ship, we suggest saving your money and utilizing the Garden Pool area aft on Deck 15 instead. While it is not an “adults only” area, we were able to find some quiet space to relax in the sun and take an occasional dip in the infinity pool. Be sure to claim your space early though, as it does get busy on sea days. Don’t Forget to Sign-off the Internet – MSC Divina offers various internet packages that provide different bandwidth speeds for full use of the internet or access to just social media and email. 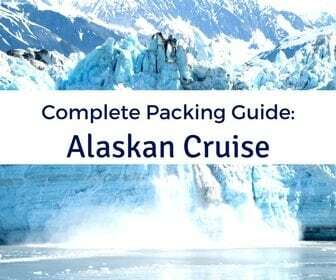 These plans allow a certain amount of data usage per day and per cruise. What they don’t tell you is that even if you are not actively using the internet, your phone’s apps running in the background will still eat up your data allowance. Don’t learn the hard way; just sign off the internet when you are finished to avoid wasting your plan. 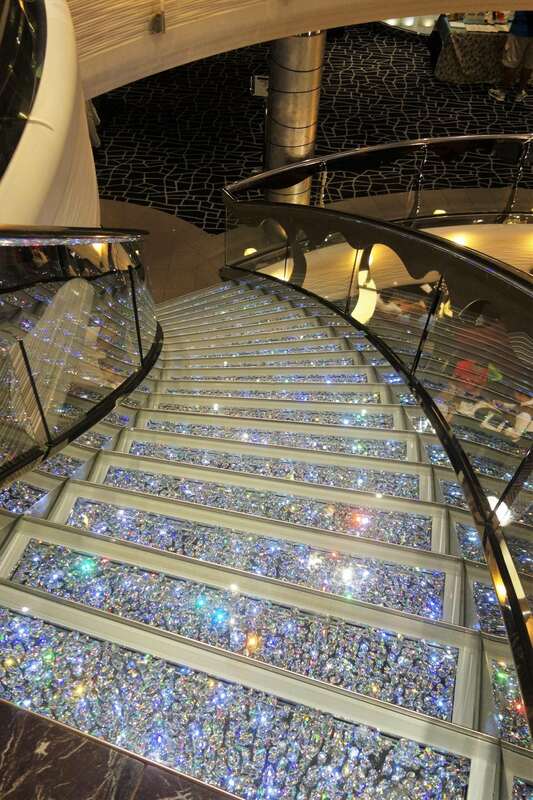 Get Your Swarovski Crystal Staircase Pictures – One of the signature elements of the central Atrium is the Swarovski Crystal Staircases, so you must take a picture here to prove you were on MSC Divina. At night, photographers set up stations on both the port and starboard side of the ship for portraits. Our MSC Divina secret is to snap your photos of these sparkling staircases early before they are filled with other cruisers. Don’t get stuck having to pay $19.95 for a professional photo. Have A Week’s Worth of Virtual Fun – If you don’t already know, MSC Divina is home to two of the coolest digital attractions at sea. 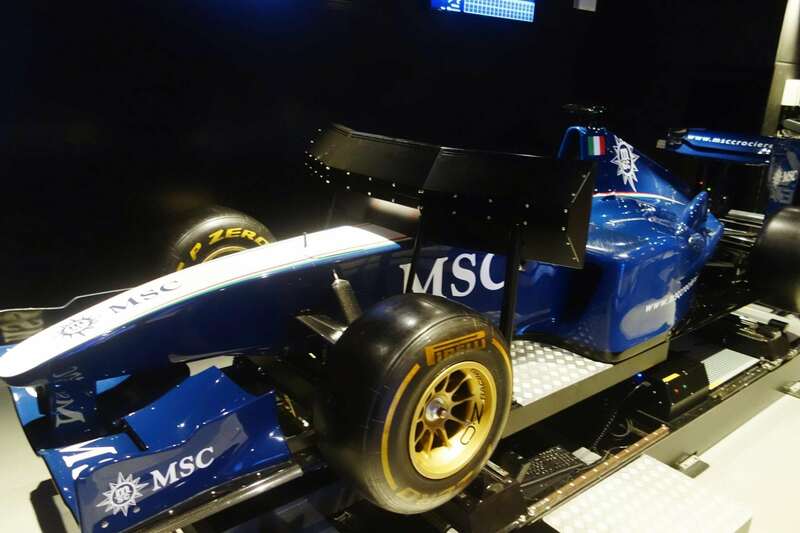 The F1 Simulator puts you in the driver’s seat of a life-sized F1 car for 6 minutes of high speed thrills. You can also brave the 4D theater ride simulator that takes you into outer-space or through the depths of an abandoned mine. 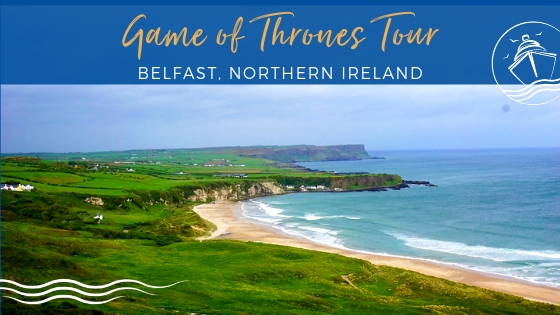 You can purchase a single ride or a week’s long pass for $60 to have unlimited access to these attractions, along with bowling in the Sports Bar. 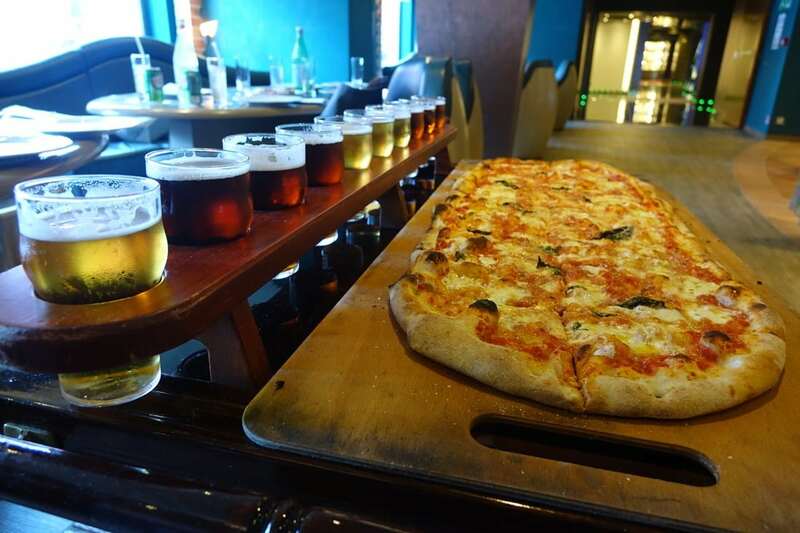 Go for the Meter at La Cantina di Bacco – The pizza in the buffet is phenomenal, but you have to go all in one night with the meter long pizza and meter long beer tasting at La Cantina di Bacco. Unfortunately, we just did not have enough time, or room in our stomachs, to attempt this feat. Good thing for us, our friend John at In the Loop Travel recently devoured one of these treats (with some help of course) and highly recommends other cruisers do the same. Don’t Miss the Show – MSC Divina is known for having unique entertainment. Star Walker, a Tribute to Michael Jackson, was a huge hit on our sailing. 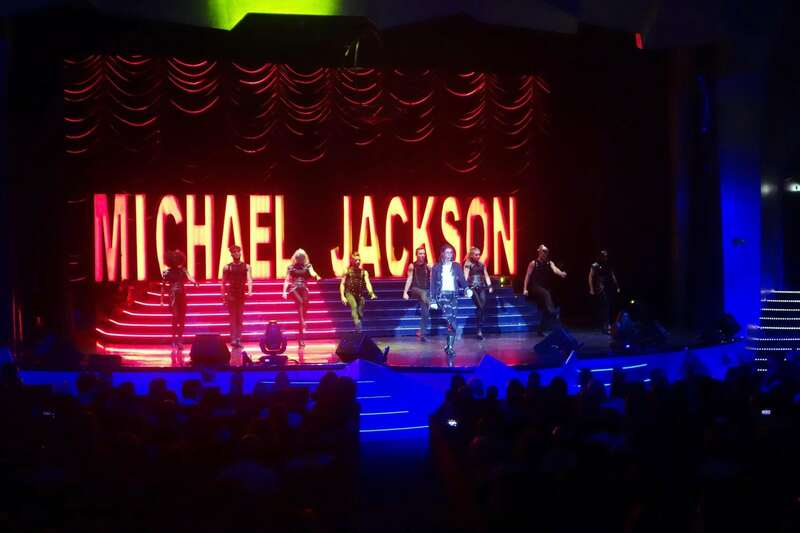 The show’s music and choreography are top notch, as is the Michael Jackson impersonator. 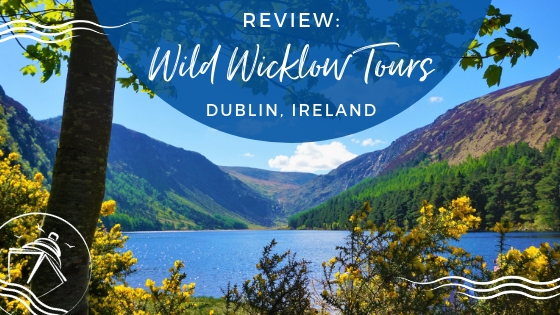 While we did not get to see some of the other shows, the Witches of Paris and Wonderland are all the rave on other message boards and cruise sites. We will trust our cruise friends on those sites and suggest you schedule time to catch these shows. Keep the A/C on When Away – Admittedly this MSC Divina secret is not exactly environmentally friendly, but it does offer some relief for those hot Caribbean days. To save on electricity and power, your cabin is equipped with a small key card slot. Your A/C and lights will only work with a card placed in the slot. 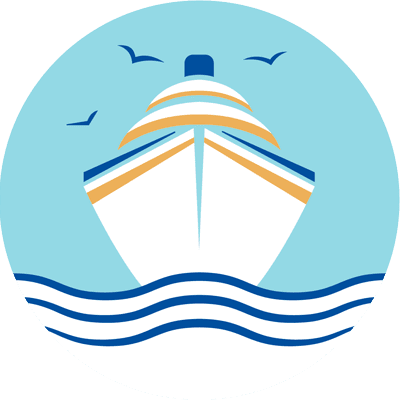 While the cruise company expects you to use a key card, meaning you are in the room, you can also use a membership card or other similar item from your wallet to “trick” the system. Now, your room will be nice and cool upon your return! At least we shut off all of the lights while we are away. Get a Taste of Italy – One of the most unique aspects of this Italian inspired company are the partnerships with popular brands back home. When you sail on MSC Divina make sure to experience all of these delicious treats. 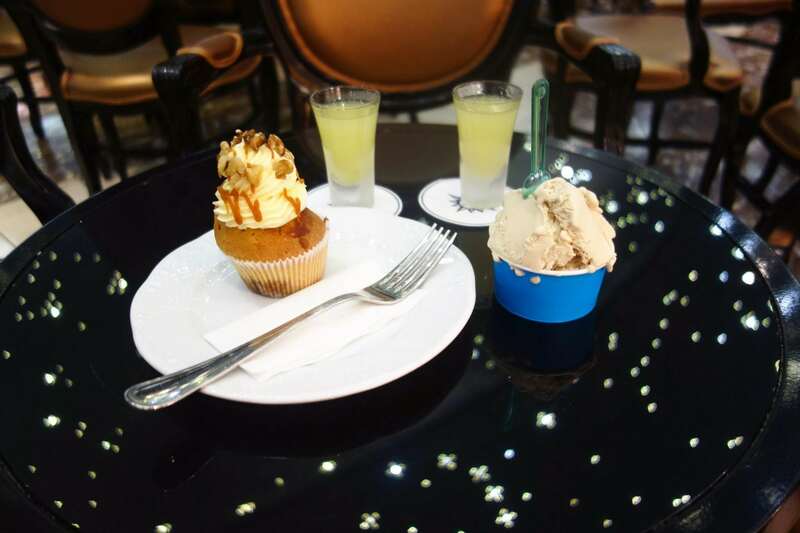 From the steakhouse Eataly, to the Nutella crepes on the pool deck, to the rich Segafredo coffee, and even Venchi gelato and Disarrono inspired drinks at the Garden Bar, be sure to indulge in these Italian delicacies at least once during your cruise. Which one will be your favorite? 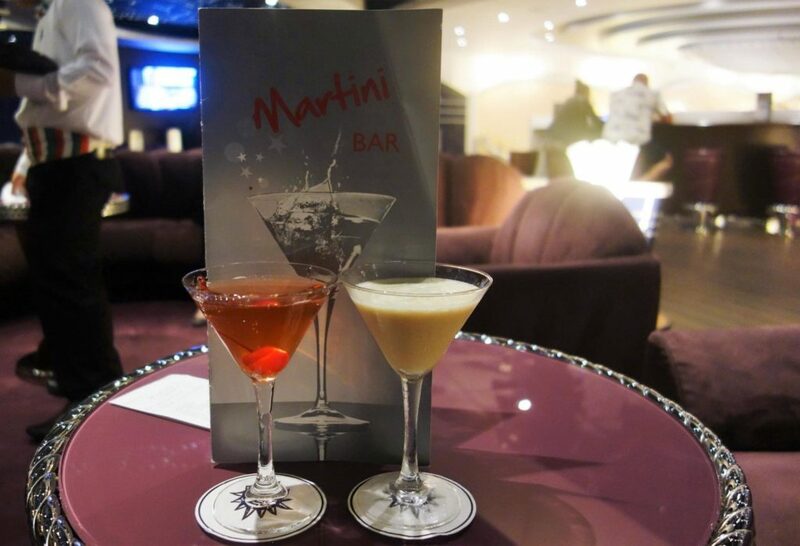 Specialty Drink Menus – You will notice that MSC Divina has a pretty large bar list. 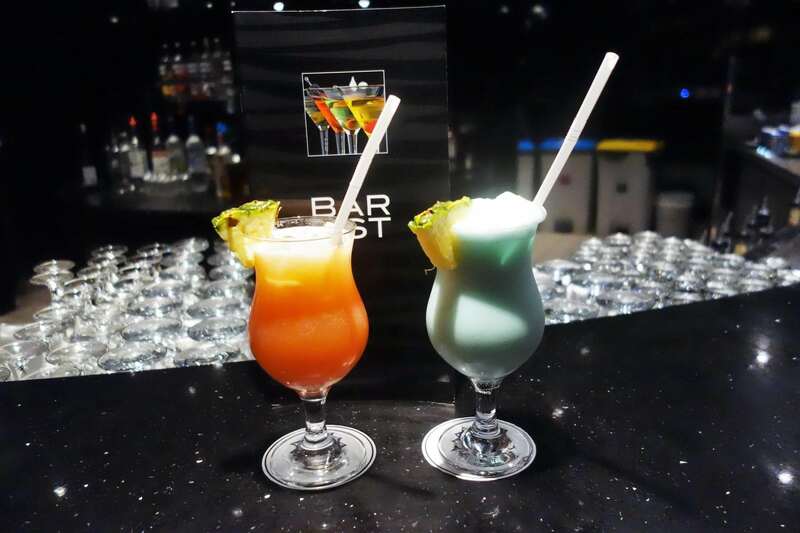 With a few exceptions, many of the bars have virtually the same menu; however, two bars have exclusive specialty drink menus. At the Disaronno Garden Bar, you can try one of three specialty cocktails featuring the Italian liquor. While I went with the Godfather, many swear by the Disaronno Sour. Also at the La Luna Bar, there is a menu filled with specialty martinis that are Princess approved. Secret Elevators – For a ship of its size, MSC Divina has plenty of elevators. You may not realize it at first, but there are several different banks of elevators located throughout the ship. 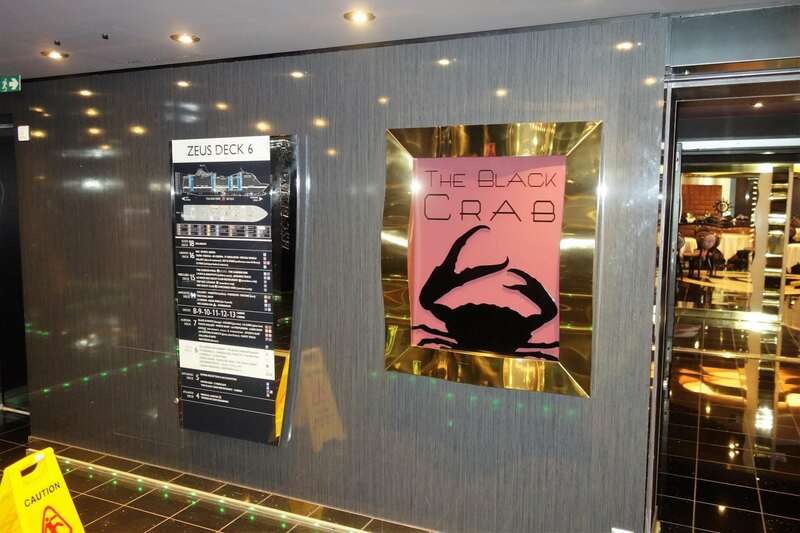 There are two “secret” elevators, tucked into the corners in front of the Black Crab restaurant. These elevators are easy to miss but are a hidden gem. If you want a ride up, you can hop in these often forgotten elevators with no waiting. The Family Owned Difference – Being the largest privately held cruise company has it benefits. From the family’s attention to detail and focus on quality to the staff’s service and dedication to guests, you get a different feeling onboard MSC Divina. Hands down, it was some of the best service we have ever gotten on a ship of this size. 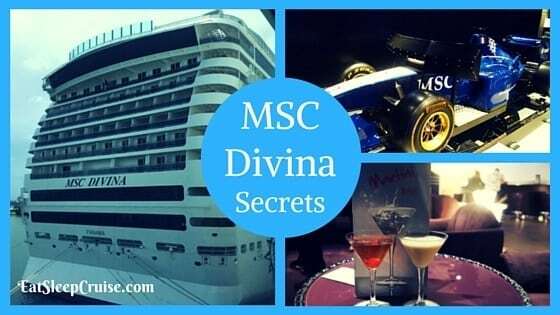 Have we missed any of your MSC Divina Secrets? Do you have something to share about your sailing on this ship? Drop us an anchor below to let us know your insider cruise tips.